Throughout my young life I have had many learning moments, but not until my adulthood did I have a true understanding about what they actually meant . One particular moment was in my teens, I was having a conversation with a group of women in their early thirties and they were gossiping about dating and they felt the need in educating me on the importance of loving your partners scent. I remember thinking “ok” seems pretty standard but it never really resonated with me until I was an adult. With that said, how many of you out there have caught yourselves having a moment when you pass someone or walk onto an elevator and you catch yourself stopping in your tracks and begin breathing in that intoxicating scent. Yes, I completely described a somewhat awkward scenario but it has happened to us all. People are drawn to scent and can even become more attractive and somehow you can forget all your social cues. Now on a different end of the spectrum, you can have a “Peppy le Pew” moment and we all have encountered that really nasty over- powering cologne that can fill a room and make you feel as if you are trapped and desperately regretting that you left your gas mask at home. So many of you gents out there do not realize the importance of switching up your colognes from winter to summer. The reason being that in the winter you should choose a much stronger scent because your skin is dry from the cold weather and your body doesn’t produce as much body oil as you do in the summer. In the summer you need a lighter scent so it doesn’t become over- powering due to your body producing more oil from the warmer climate. As a result when you spray your cologne, it penetrates the skin much easier and your body oils intensify the fragrance. 1. 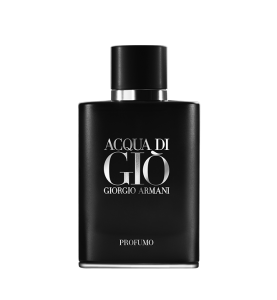 Giorgio Armani Acqua Di Gio Profumo (Limited Edition) – Armani reinvented the classic Acqua Di Gio. While the original seems to have become a summer staple. The new cologne is very similar to the original but they just wanted to make it a little sexier with patchouli and incense darkening. A great option to wear on summer warm nights. Related: Should I Shave With Gels Or Creams? 3. 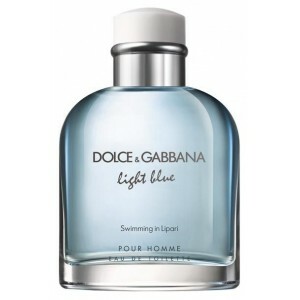 Dolce & Gabbana, Light blue Pour Homme Swimming in Lipari – In 2001 Dolce & Gabbana launched “Light Blue” and every guy I know was sporting this cologne for years. From the success of that fragrance, the aquatic scent “Light blue Pour Homme Swimming in Lipari” was launched for summer 2015. This invigorating limited summer edition cologne was meant to not only be great for daywear but should always be packed for your summer travels. 4. Icon by Dunhill – The man who wears this scent, is a gentlemen with class and sophistication. This fragrance exudes the classic heritage, luxury and modernity that this British Brand embodies. This long lasting woody aromatic scent would be a great cologne to wear in the daytime, especially during your grueling work week. 5. 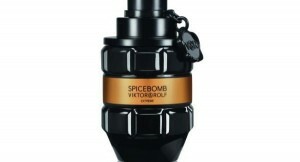 Spicebomb Extreme by Viktor & Rolf – Not only will you want to own this fragrance because of its signature eye-capturing hand grenade shaped bottle with bronzed a ring, but you will love it because they reinvented the original Spicebomb scent and made it an explosive sporty update. With any of the above 5 options you will not only smell phenomenal but you will be season appropriate and if you haven’t been on the receiving side of a double take or if you had a “Peppy la Pew”moment, these fragrances will definitely get a positive reaction.